The Eleventh Year of LIVE Coverage of the AEA Convention Continues Wednesday! 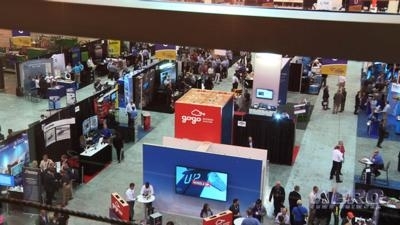 The Aero-News Network, in a decade-plus-long partnership with the Aircraft Electronics Association (AEA), is pleased to announce the continuing schedule for this week's programming initiatives and programs for the upcoming 2019 AEA Convention and Trade Show, currently being held in Palm Springs, March 25-28, 2019, in what is our record-setting 11th LIVE online programming initiative. 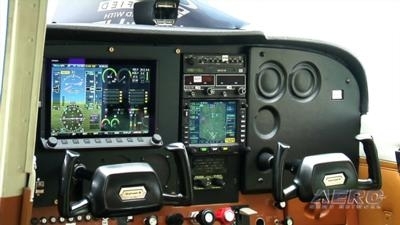 Primary LIVE coverage started Monday, March 25th, with the webcasting of AEA’s pivotal New Product Introduction (NPI) series in which nearly 30 avionics innovators will reveal new products and programs for a live audience. Show coverage commenced at 0815 Pacific Time and concluded at approximately 1200 PT. The archives will be available shortly. ANN's LIVE viewing portal supports social media outreach and enhanced chat functions. The portal, (which is already online with an active countdown clock), will be available for all live programming via www.airborne-live.net. Two more days of informative LIVE interviews, features, and special programming resumed, Tuesday, March 26th, at 1300PT with three+ hours of live interviews concentrating on the news and announcements shown at the previous day’s NPI. On Wednesday, March 27th, the second LIVE Interview program will commence at 1130PT. 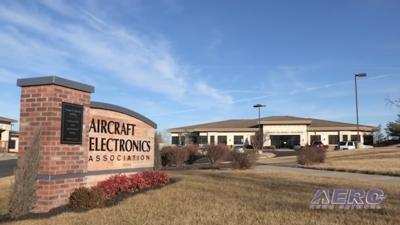 The day’s interviews will concentrate on recent avionics issues and discussions, AEA’s annual update on the National and International political scene, the AEA Scholarship program and other industry issues. As always, all the interviews, features, the entire NPI and all other AEA coverage will be available via YouTube, Vimeo, and other resources, in perpetuity, and may be used/embedded/and linked by AEA members/exhibitors in good standing. Do You Have A Suggestion for an Interview Guest or Topic? ANN is reaching out to AEA exhibitors and attendees for topic matter experts, news interview concepts and other ideas for the upcoming 7+ hours of LIVE AEA Interviews. Those with potential interview suggestions are urged to reach out to ANN, ASAP, by emailing jim@aero-news.net or by calling 863-299-8680 to see if they qualify for one of the few remaining slots still available. The programming roster is just about full but good topics and guests can still be accommodated.